Arizona-native Rachel Robins spent the first few decades of her life baking in the desert. When 120ºF weather began to wear a little thin, she vacated the Valley of the Sun for the cooler, greener climes of Seattle, Washington. Rachel’s writing fuel is drawn from the pool of experience gained from various backgrounds such as food service to sales, nonprofit work with children to academia--the latter of which has been her focus for the last 15 years. She holds a Bachelor in Arts in Christian Studies and an MFA for Writing Popular Fiction. 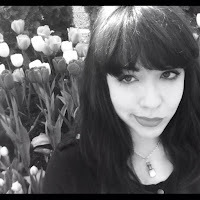 While she’s dabbled in a variety of genres like fantasy, steampunk, dieselpunk, noir, and scifi, she tends to favor contemporary fantasy, comedy, and horror. In her few moments of leisure, she divides her time by crocheting, exploring the beautiful Pacific Northwest, and playing peacekeeper for her two cats in between daily writing sessions. Her first novel features monsters and mindreading. Rachel Robins is an American writer hailing from the Pacific Northwest by way of Arizona. A self-professed medical mutant, she lives a rich inner life with a steady diet of fiction, IFLS articles, theology, cat videos, drag queens and gluten-free concoctions. An MFA grad in Writing Popular Fiction, she divides her time by crocheting, exploring the beautiful Pacific Northwest, and playing peacekeeper for her two cats in between writing sessions. Her first novel features monsters and mindreading. And dear God, is she single.